If you need key cutting, call Queensland’s favourite locksmiths now on 1800 550 750. Don’t risk getting your keys cut just anywhere. If you want quality keys that work first time, and are made to last, then call Allstrong Locksmiths. Call now and we’ll come to you 1800 550 750. We cut replica keys and replacement keys for doors, windows, security grills, roller doors, cars (including transponder keys), trucks, motorbikes, and more. 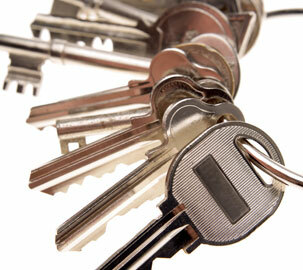 We even have a master key cutting service for those serious about their home and business security. Yes, we’ve got your key type! Our mobile locksmith vans keep more than 10,000 key blanks in stock at any given time. This is five times as many as standard key cutters, meaning there’s rarely a key we can’t cut. Expert key cutting with the best equipment, by the best in the business. We only use the finest quality key blanks from Italy, so your keys will be durable and long lasting. And they’ll be cut by a fully qualified Master Locksmith who knows the inner workings of the lock and therefore exactly which parts of the key are important. And with 14 different key cutting machines at our disposal – each designed for a specific type of cutting – you can be sure your key will always be of the highest standard. 100% guaranteed – we guarantee that your keys will work or we will refund your money. For the best key cutting in Queensland, call Allstrong Locksmiths now on 1800 550 750. We come to you 24 hours a day, 7 days a week!